From Warner Bros Animation comes Storks, about those eloquent birds known for delivering babies, but have moved on from delivering babies to packages. When an order for a baby appears, the best delivery stork must scramble to fix the error by delivering the baby. KIDS FIRST! 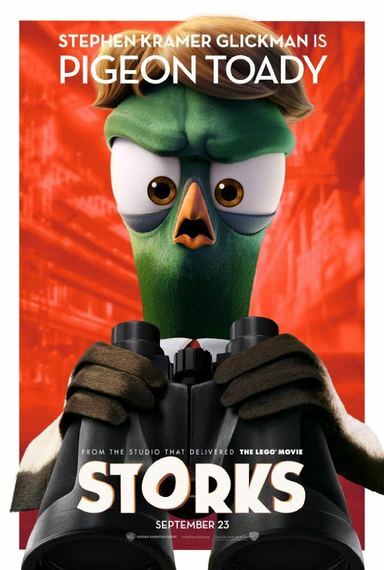 Film Critic Gerry O. comments, "Storks is a film unlike most other animated comedies. Not only does it appeal to kids, with fantastic morals and fun and silly humor, it appeals to adults as well." Morgan B. adds, "It is one of the cutest movies that I have seen this year. 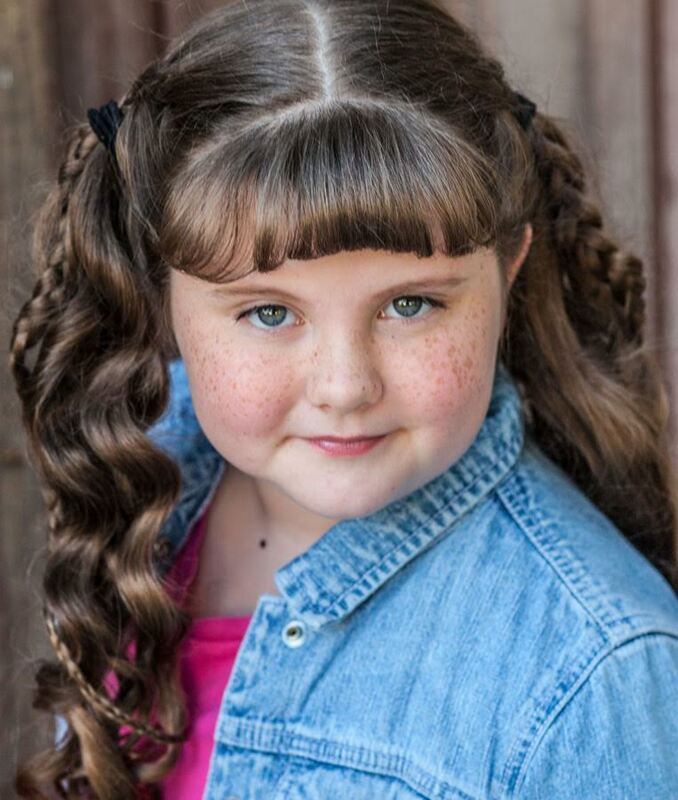 It has humor, an original story line, family and the cutest thing ever - babies." See their full reviews below. 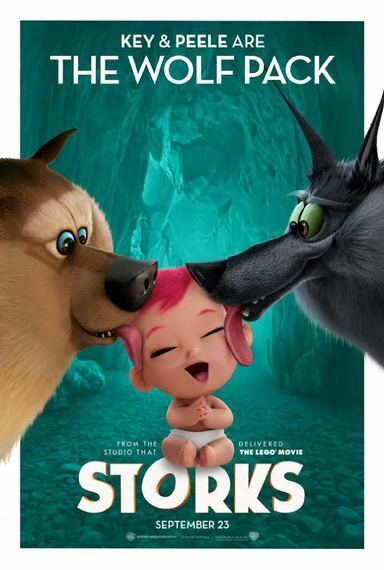 Storks is a film unlike most other animated comedies. Not only does it appeal to kids, with fantastic morals and fun and silly humor, it appeals to adults as well. 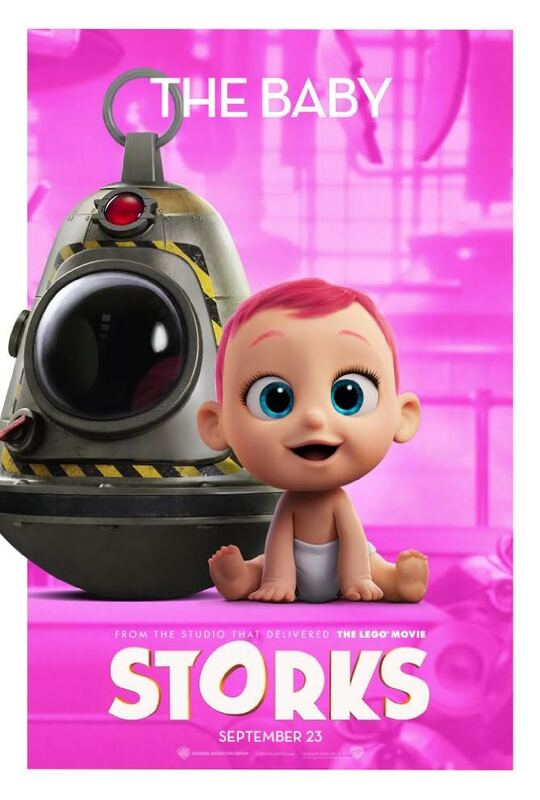 This makes Storks a true family comedy that also has beautiful animation, wonderful voice acting and a unique story. Storks is predominantly a comedy. The story itself is an adventure, but there also some drama here and there to keep things exciting and, just to make sure you never get bored, there are also a few action scenes that are both intense and hilarious. This movie starts out showing storks delivering babies. This all changes when one Stork decides to stop delivering babies and starts producing and delivering goods instead. One young stork named Junior (Andy Samberg) discovers that a baby was accidentally made and tries to eliminate the problem by delivering the baby. On the way, they meet old friends, new friends and also make enemies. The humor in this film is fantastic. Not only is it original and never gets boring, the funniest parts are when characters in the film point out something that shouldn't be possible. That, combined with a great soundtrack and perfect voice acting, makes for very funny scenes. The animation in Storks contains a lot of bright colors as well as many beautiful scenery shots. The voice-over cast really suits their roles, even if their character has only three lines, they make the nonexistent character come to life. My favorite scene is when Junior and his partner, Tulip (Kate Crown) are captured by a pack of wolves. The wolves fall in love with the baby and the two are able to escape and grab the baby. What I love about this scene is that the wolves form different vehicles using their bodies. It is hilarious to watch the wolves talk to each other and see the characters point out how impossible it is. This makes the scene hilarious and also, is very action packed. While laughing, the viewer is on the edge of their seat in excitement. 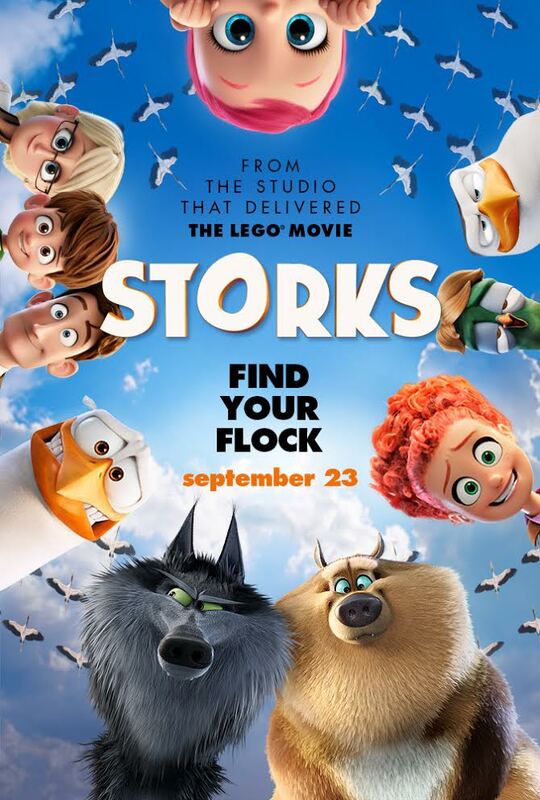 Storks is meant for kids, but can appeal to adults too. I recommend it for ages 6 to 18 plus adults. There are some dramatic scenes that may be too intense for younger kids. I give this film 5 out of 5 stars for original and hilarious comedy, unique plot, beautiful soundtrack, wonderful voice acting and spectacular animation. It opens in theaters September 23, 2016 so be sure to check it out. I love this movie so much. It is one of the cutest movies that I have seen this year. It has humor, an original story line, family and the cutest thing ever - babies. The story is unique, fun and adventurous, all of which make it a perfect family film that you will want to watch again and again. The voiceovers really fit the characters perfectly and bring this film to life. 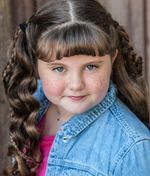 One of my favorites is Tulip played by Katie Crown who is perfect for this part because she is silly, fun, bubbly and just wants to help. But every time she tries to help, chaos always finds a way to happen. 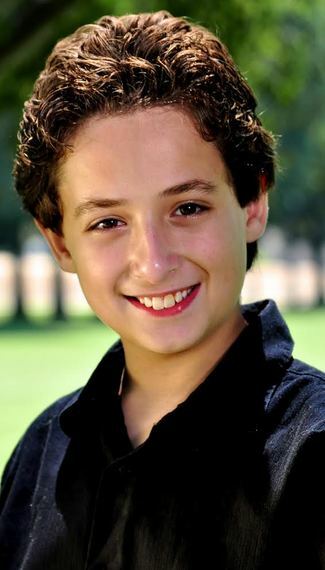 My other favorite character is Junior. Andy Samberg plays this part perfectly as a determined, hysterical and ambitious character. Tulip and Junior make the perfect odd team. Then there is the Gardner Family - Mrs. Gardner (Jennifer Aniston) who I have had the pleasure of meeting, Mr. Gardner (Ty Burrell) and their son Nate Gardner (Anton Starkman). This family is adorable and funny. They build their house to be a giant carnival slide for the storks to deliver their new baby. I would love my house to look like that. Last but not least, there are the bad guys - Hunter (Kelsey Grammer) and his sidekick Pigeon Toady (Stephen Kramer Glickman) who is a friend of mine. These two characters are humorous and play the villains we love to hate so much. Toady is very small, but you know what they say "dynamite comes in small packages." The animation in his film is colorful, fast paced and a joy to watch. You can see every feather and hair on every bird and human. This film is also gender friendly with strong female as well as strong male characters. These are two of the main reasons why I really liked it. My favorite scene is when The Wolf Pack (Keegan-Michael & Jordan Peele) try to take an adorable little baby named Diamond Destiny to raise her as a wolf. I love this scene because it is one of the funniest scenes in the movie. The wolves actually become a submarine, boat, plane and so much more. It is humorous and silly and you can't help but laugh along with the rest of the audience. I recommend this for ages 5 to 18. Adults will enjoy this as well. Everyone will love the babies, the comedy and the overall cuteness of this film. Adults will want to spend more time with their children after watching this film. The children will want a new baby sibling to play with so they can see real storks in action. I give this film 5 out of 5 adorable ninja skilled babies.